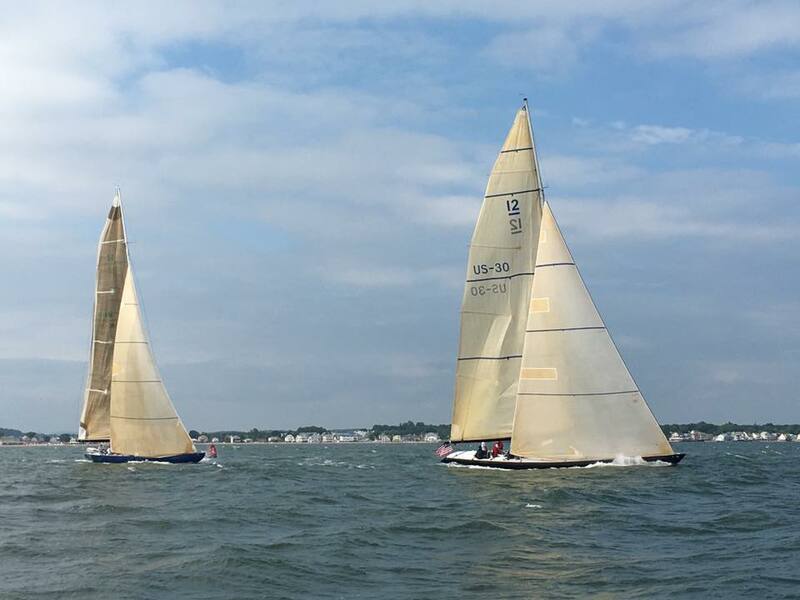 That was the title and concept of a 70s Carly Simon song—and the concept of anticipation plays a key role in sailboat racing. Take a look at this photo or two 12-meters rounding a leeward mark. Now, admittedly, these are chartered 12s most likely crewed by workmates on a team-building excursion and not by their former, well trained, AC teams. Yet, there still a lesson to be taught here. Consider this: you know there’s a leeward mark coming up shortly. You also know there’s (probably) a spinnaker to be doused, a pole to be stored, as well as a lot of strings and wires to be pulled and reset BEFORE you arrive at and round the mark. And you know that you really can’t sail upwind without doing all of this. Here the crews were probably listening to “You’re So Vain” instead of “Anticipation.” The lead boat had their backstay and runners reset and their jib trimmed...but even they missed the mark in terms of pre-trimming the huge main of a 12 Meter. The trailing boat? Well, from the look of their headstay sag, their backstay and runners were still too slack and don’t even ask about them pre-trimming the main. Admittedly, it’s easy to poke fun at others’ problems on the race course. Frankly, there’s probably nobody reading this post that hasn’t botched a mark rounding or two...windward and leeward...and don’t even think that you’ve never had a gybe go pear-shaped. So, what do you do? First, the crew boss or tactician should give everyone a heads-up of the coming maneuver and its approximate timing. It’s also a best practice for that person to quickly run through the key, high-risk elements of the maneuver and the sequence or actions “just in case.” Think belt and suspenders...better safe than sorry. And then give a countdown to the start of the actual maneuver so that everyone’s on the same page of the play book. “Anticipation” got Simon a Grammy nomination in 1973 and maybe it can get you on the Podium in 2019! Older PostAND THEY USED EVERY SAIL IN THE INVENTORY!